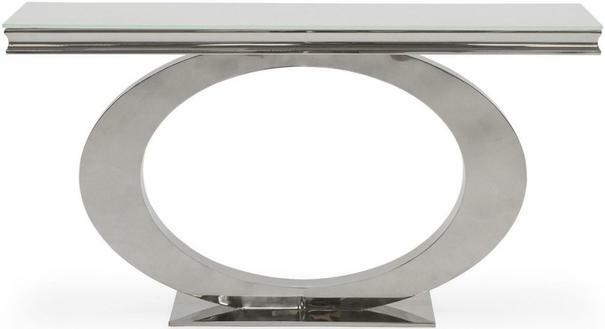 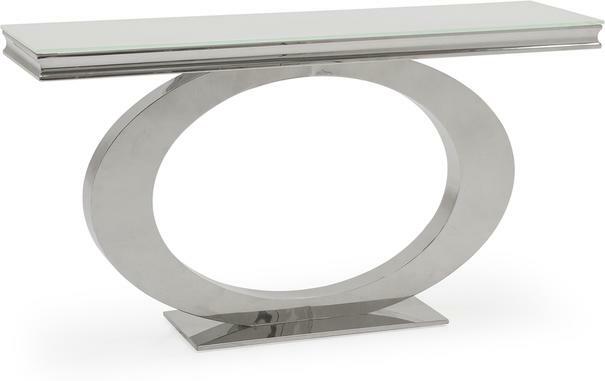 Add effortless sophistication and make a style statement in your home with the stunning Briona console table. 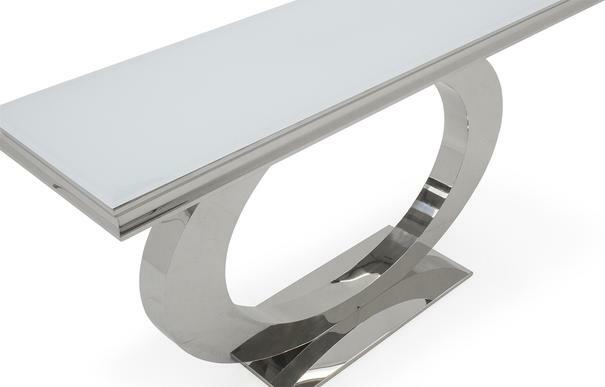 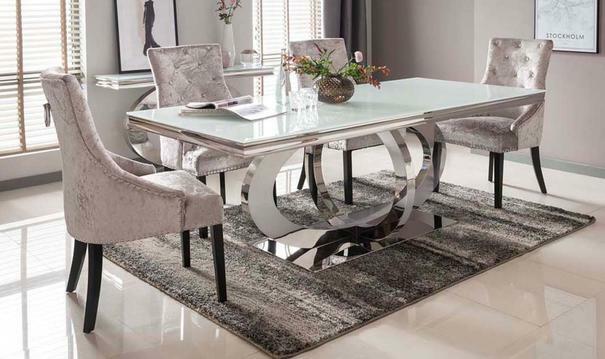 Expertly crafted from polished metal the base design of this eye catching table is as artistic as it is functional and serves to add a touch of contemporary elegance to the look this piece exudes. 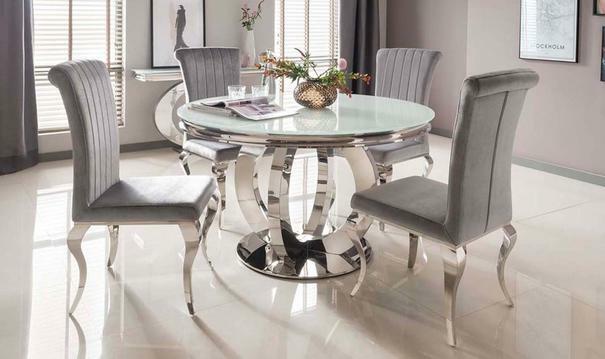 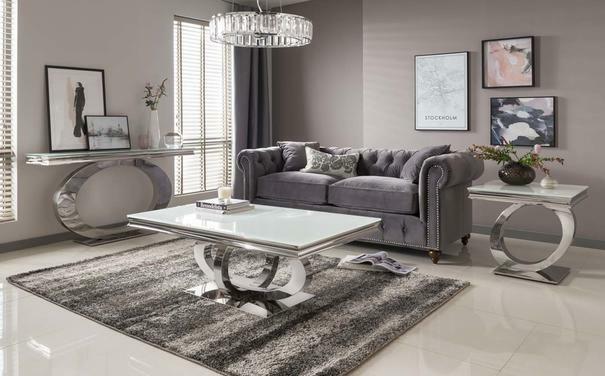 Part of a range of complimentary pieces for the living and dining areas of your interior the Briona console table also includes a beautiful tempered glass top which adds to the luxurious aesthetic the table creates.